Dubai, 27 December 2017- The 12th edition of Globe Soccer starts on the 27th of December and iGuzzini is proud to take part in one of the most exclusive events of international football. 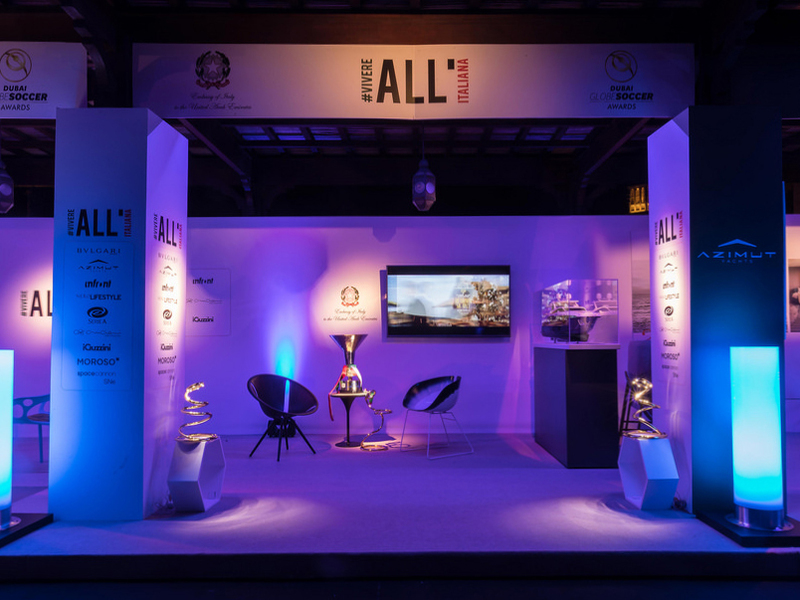 The much awaited two-days will be rich of events, as usual, and iGuzzini will support the prominent charity auction of the Globe Soccer Awards with the iconic desk luminaire PizzaKobra, a design by Ron Arad. A customized gold-plated version of PizzaKobra will be one of the protagonists of the fundraising that will run throughout the night of the 28th to raise funds for the local charity Dubai Cares, a philanthropic organization working to improve children’s access to quality primary education in developing countries. 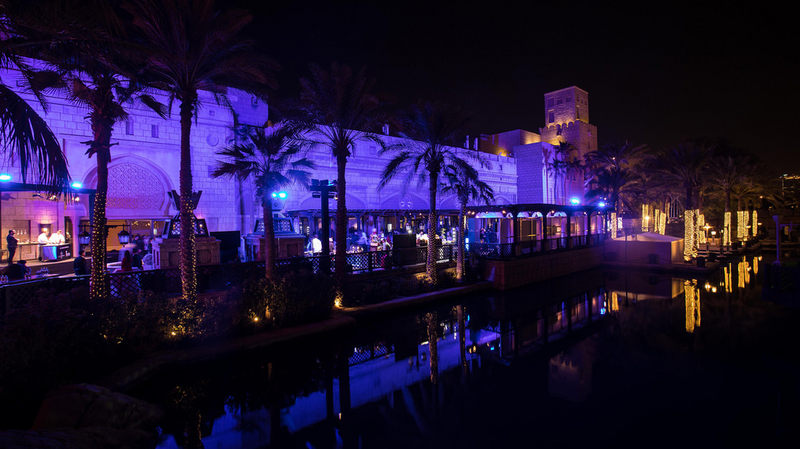 PizzaKobra will also be a testimony of Made in Italy, together with other luxury Italian brands, participating in the “Vivere all’italiana” (Living Italian) lounge set up in the evocative Madinat Jumeirah Resort. The uniquely designed lamp will display its flexibility and adjustability through scenes of light and shadow within the lounge. The chromed spiral will be given as a trophy to a world football star during the 8th edition of the Globe Soccer Awards in the tricolored lounge. 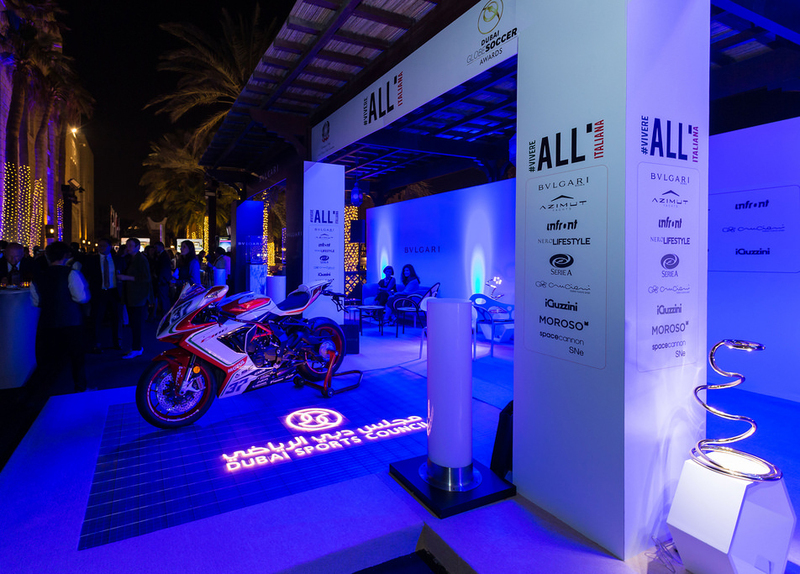 “We are proud to be present at this event showing to the world the excellence of Made in Italy. The collaboration with Globe Soccer and the participation in the charity event are a pleasant occasion to reiterate our commitment to promote light as an element of social innovation” commented Paolo Guzzini, Vice President and Managing Director of iGuzzini Middle East.